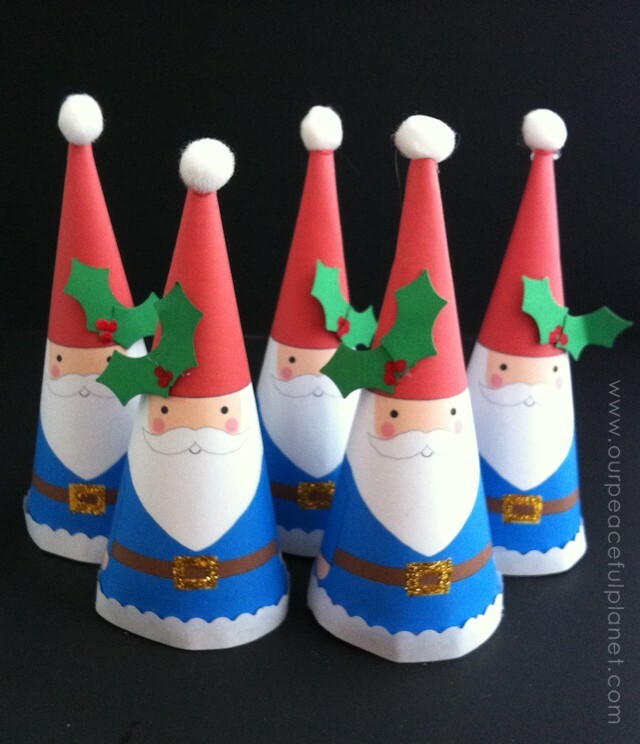 Who doesn’t’ love Christmas Gnomes or any kind of gnomes for that matter! 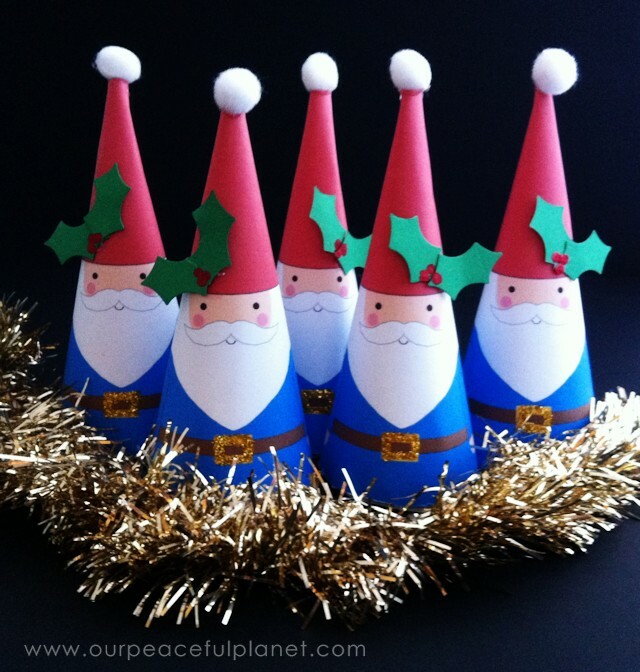 I found this printable gnome pattern online for free and decided to make a few of them for decorations. (I can never pass up a good gnome when I see it.) These could be hung up if desired and would make cute ornaments. I’ve created a pdf version of this gals pattern for ease in printing. Her original pattern and link is also at the bottom of this page. 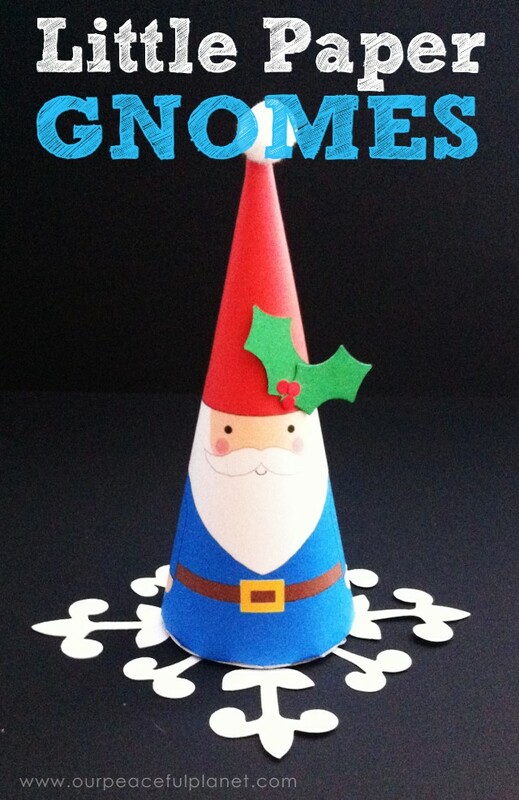 If you like this you’ll love our Gnome in a Cup too! And don’t forget to check out our other little whimsical creatures like our Twigs & Twine Wooden Reindeer or our Christmas Spider and Poem. Downloaded and printed pattern below. White Pom Poms for top of hat. Cut out holly and berries for hat. 1. 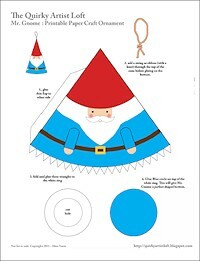 Download and print the gnome pattern on cardstock. 2. Cut out along outside edges. 3. Fold and glue large part together. 2. Spread thin glue around the belt buckle and sprinkled glitter on. 3. Cut out paper holly and glue on. Used dots of paint for berries. The bottoms can be a bit rough looking depending on how careful you are. You could also glue trim of some type around the bottom. I just cut out scalloped paper and put around mine though I’ll probably nest them inside some garland as shown. Oh Nancy these are so adorable! I love their expression. 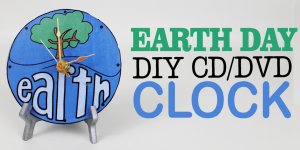 I am going to make some of these. Just wanted to tell you that ever since we “met” when I visited your gratitude stones craft post, I’ve been eagerly looking forward to your posts and love the simple but gorgeous crafts you post. Hugs! Wishing you a wonderful festival season! Next: Spicy Black-Eyed Peas A Delicious Bit of Luck!